Skill level = easy, beginner. 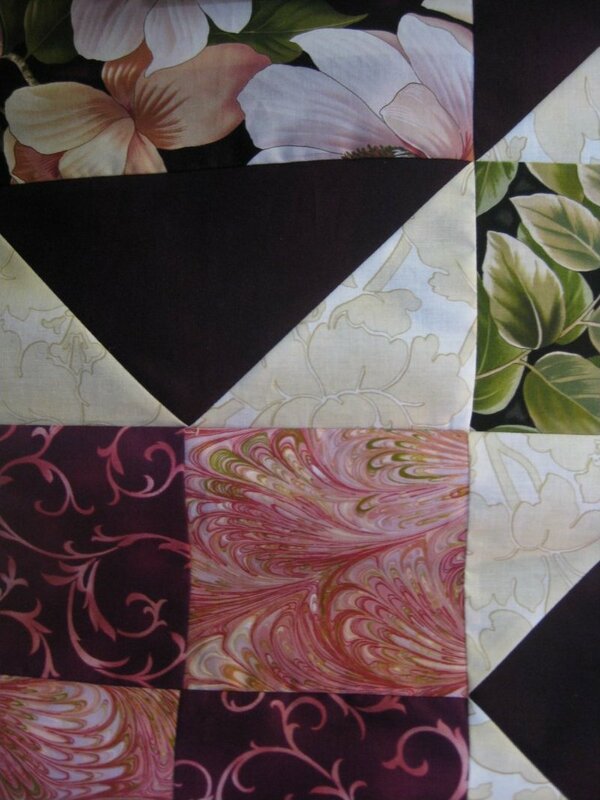 Makes 45" by 45" quilt using Benartex Flower Show - Magnolia. Lining and batting not included in kit. Skill level = intermediate. 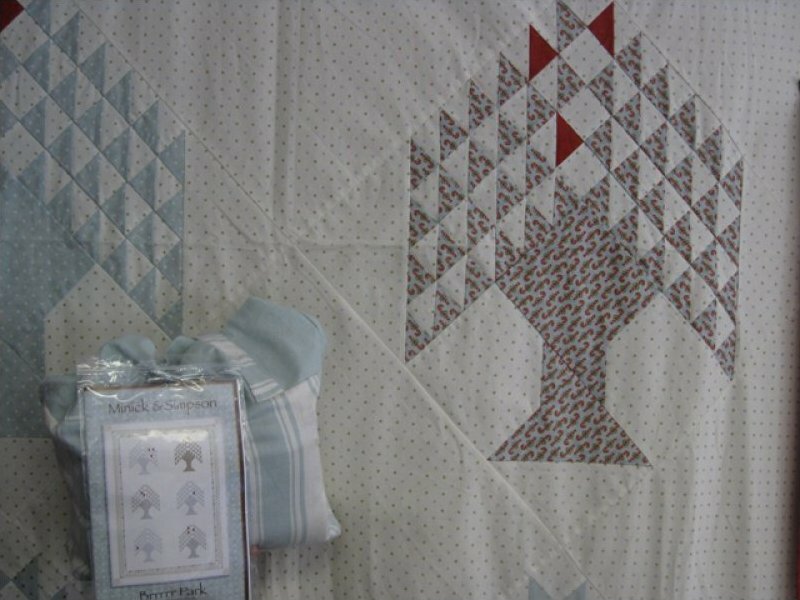 Lots of half square triangles and stars. 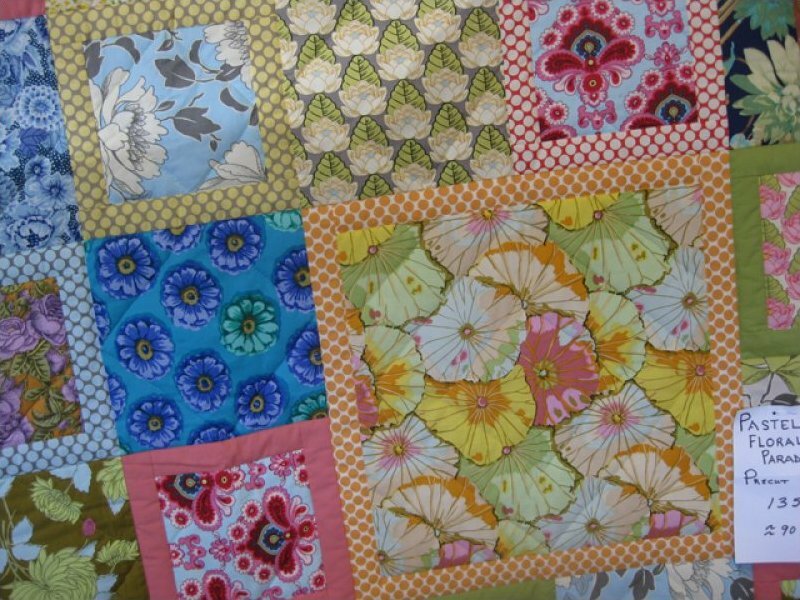 Makes 68" x 68" quilt, made from Andover fabric. Batting not included in kit. Skill level = intermediate. 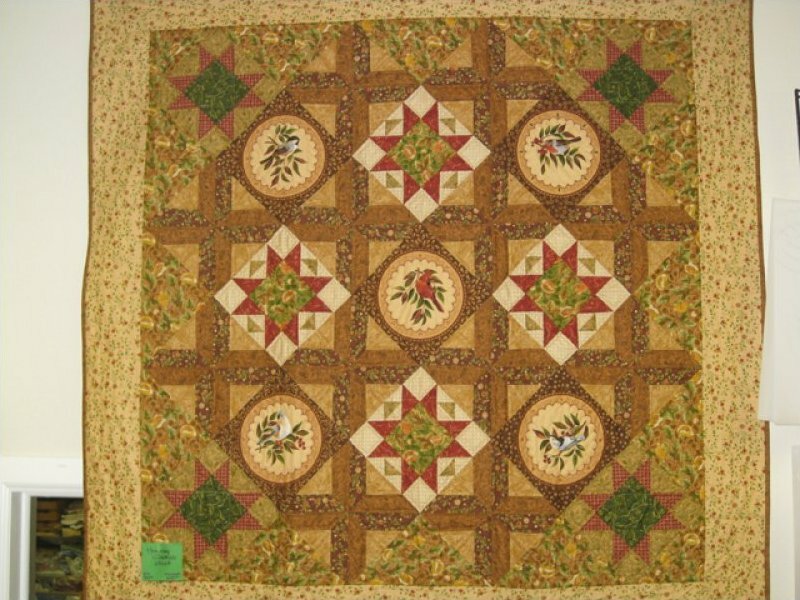 Makes 65" x 90" quilt, ample throw size, twin size, or wall hanging. Add another border or two and make it larger.